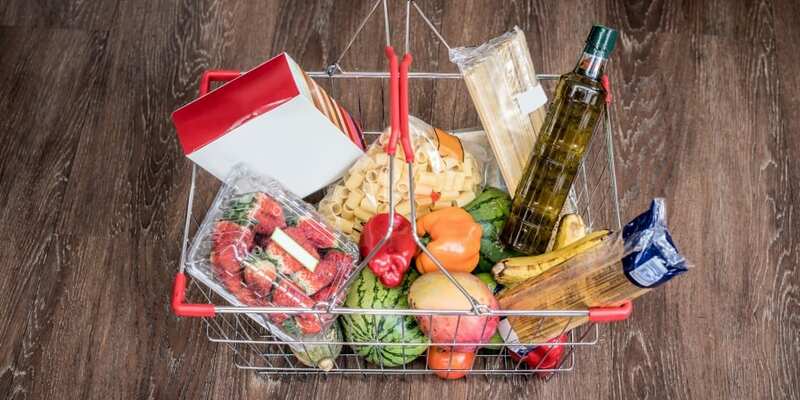 Inflation rose slightly to 1.9% in February 2019, according to the latest figures published by the Office for National Statistics (ONS), driven by a rise in food, alcohol and tobacco prices. This is up 0.1 percentage points from January, when inflation, at 1.8%, was at its lowest level since January 2017. Which? explains why the rate of inflation has gone up, what’s in the imaginary ‘shopping basket’ that inflation is based on, and what it could mean for your savings. The main factors behind the maintained inflation levels were an offset of price rises across food – particularly bread and cereals; alcohol, tobacco and recreational goods and services – balanced out by falling prices of transport as well as clothing and footwear. The graph below shows how the CPI rate of inflation has changed over the past few years. The Bank of England is tasked with keeping inflation as near to 2% as possible, which it has done so after inflation peaked at 3.1% in November 2017. What’s in the CPI inflation shopping basket? The ‘shopping basket’ often referred to when talking about inflation tracks the prices of around 700 commonly-bought goods and services. These include food and drink items, flights, fuel, clothes, games and even things like theatre tickets. The basket is updated each year to make sure it’s kept up-to-date with what people are actually buying. This year, smart speakers (like the Amazon Echo or Google Home), bakeware items, flavoured teas, peanut butter, and electric toothbrushes are all being added, mainly due to their growing popularity. Other items are being removed, or replaced with something similar that’s bought more often – so, the likes of washing powder, dry dog food, and three-piece suites have all been replaced with more modern alternatives; laundry gels, dog biscuits and non-leather settees. As CPI inflation tracks the goods and services in the shopping basket, each month’s figure shows how much prices have risen or fallen compared to the same month of the previous year. Therefore, if your savings have been in an account for that year and haven’t received an interest rate that equals or beats inflation, you won’t be able to buy as many things in the shopping basket as you could 12 months beforehand. This effectively means your money has lost value in real terms; it can’t buy you as many goods or services as it could before. What are the top-rate savings and Isa accounts? In February, we found 375 savings and cash Isa accounts that could beat the January rate of CPI inflation. As inflation has only risen slightly, we would expect a similar number of accounts to be able to match or beat the rate. The table below shows the top-rate savings accounts and cash Isas; we’ve ordered it by the length of the term and showing only the top-rate account for each term. The links will take you through to Which? Money Compare. Five-year fixed-rate savings account Gatehouse Bank five-year fixed-term deposit 2.75% EPR* £1,000 minimum initial deposit. Five-year fixed-rate cash Isa Shawbrook Bank five-year fixed-rate cash Isa 2.30% £5,000 minimum initial deposit. Four-year fixed-rate savings account Vanquis Bank four-year fixed-rate bond 2.52% £1,000 minimum initial deposit. Four-year fixed-rate cash Isa United Trust Bank cash Isa four-year bond 2.20% £15,000 minimum initial deposit. Must open with an Isa transfer. Three-year fixed-rate savings account Al Rayan Bank 36-month fixed-term deposit 2.52% EPR* £1,000 minimum initial deposit. Three-year fixed-rate cash Isa Charter Savings Bank three-year fixed-rate cash Isa 2.05% £1,000 minimum initial deposit. Two-year fixed-rate savings account Gatehouse Bank two-year fixed-term deposit 2.45% EPR* £1,000 minimum initial deposit. Two-year fixed-rate cash Isa Wesleyan Bank two-year internet only cash Isa 1.96% £20,000 minimum initial deposit. One-year fixed-rate savings account Bank of London & The Middle East one-year premier deposit account 2.20% EPR* £1,000 minimum initial deposit. One-year fixed-rate cash Isa Shawbrook Bank one-year fixed-rate cash Isa 1.77% £5,000 minimum initial deposit. Instant-access savings account The Family Building Society Premium Saver 1.51% £15,000 minimum initial deposit. Instant-access cash Isa Coventry Building Society easy access Isa 1.50% £1 minimum initial deposit. AER drops to 1.15% after 12 months. *Expected Profit Rate. Source: Which? Money Compare. Correct 19 March 2019. As the table shows, there is a lot of choice for savers wanting to beat inflation – which is great news. However, you will have to commit to locking your money away for at least one year in a savings account, or two years in a cash Isa, in order to do it. Before opting for a new account, you should consider whether you’ll need to access your cash regularly – in which case an instant-access account is likely to suit you better – and whether you can save enough to meet the minimum initial deposit requirement. Several of the top-rate accounts require £5,000 or more, which is likely to be out of reach for those with smaller savings pots. This time of year is often referred to as ‘Isa season’, as it’s the last few weeks of the current tax year and providers usually try to encourage savers to use up their Isa allowance. Each tax year, everyone can save up to £20,000 into a tax-free Isa, where they won’t have to pay any tax on any of the savings interest they earn. This is a benefit over a savings account, where any interest your savings earn will go towards your personal savings allowance, and may be taxable. According to Moneyfacts, there are currently 415 cash Isa deals now available, up from 383 this time last year. This number could well increase as we get towards the Isa deadline on 5 April. As part of this trend, Leeds Building Society has recently launched a new two-year cash Isa, paying 1.75% AER and requiring a minimum initial deposit of £100. While it’s not a top-rate account for this term, it’s much more accessible than the Wesleyan Bank account which requires a minimum of £20,000 to be saved. As well as the number of accounts, rates are on the rise, too. As the table shows, the top-rate instant-access cash Isa is just 0.01% away from the top-rate instant-access savings account – the gap between savings accounts and cash Isas is traditionally much bigger. If you know you’ll need to have access to your cash, the Kent Reliance easy access account offers 1.40% AER, and requires a minimum initial deposit of £1,000. After that, unlimited withdrawals can be made, as long as at least £1 is held in the account at all times. Alternatively, for more long-term savings, Leeds Building Society has a four-year income bond that pays 1.92% AER when you make a minimum initial deposit of £100. If the balance falls below this amount, the AER will drop to 0.05%. It also has a five-year fixed-rate bond paying 2.05% AER, and the same conditions apply. Coventry Building Society offers the top-rate instant-access cash Isa, paying 1.50% AER and requiring a minimum initial deposit of £1. The rate will drop to 1.15% AER after 12 months. Elsewhere, the Kent Reliance one-year fixed-rate cash Isa offers 1.60% AER when you make a minimum initial deposit of £1,000, and for longer-term saving, Leeds Building Society’s five-year fixed-rate cash Isa pays 2.10% AER and requires a minimum deposit of £100. You can search through hundreds of savings and Isa accounts with Which? Money Compare.